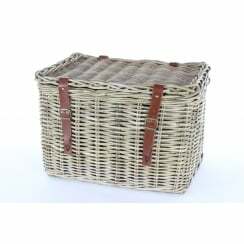 The Basket Company’s selection of handmade rectangular storage trunks with lids can be used as an attractive end of bed storage solution for just about anything including toy storage, shoe storage, towel storage, clothes storage, bedding storage, linen storage, blanket storage, bedroom storage, etc. 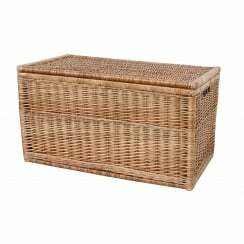 We have wicker trunks, wicker storage chests, wicker storage boxes, wicker storage trunks, sea grass storage trunks and chests, wicker chests and white storage trunks, storage trunks and storage chests to store just about anything that you would like to tidy away. Our lidded storage trunks come in a range of colours and materials. If you are looking for a white wicker trunk, green willow large wicker trunk, grey rattan storage trunk and natural large seagrass storage chest in light and dark shades we have attractive storage solutions that would look great in any room in any home. 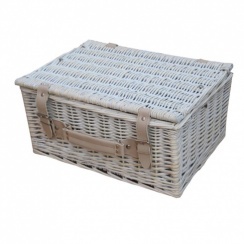 Why not take a look at our range of storage trunks to use as toy storage solutions and shop now for a wicker chest to use as a wicker toy chest to tidy away all those toys. 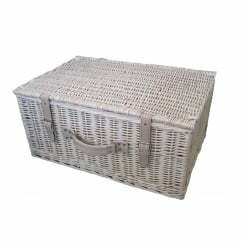 Our range of baskets for storage includes small to extra large storage trunks so whether your looking for something rustic like a small grey rattan storage chest, an extra large wicker storage chest or a lovely natural colour seagrass storage chest we have just the large storage chest trunk to suit you. 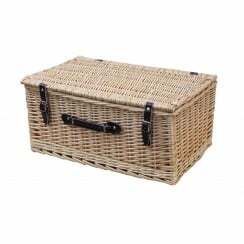 Our storage trunks come with faux leather handles, hinges and straps which you will find on our rattan chest / rattan trunk, large wicker storage trunk, rattan baskets with lids, white wicker chest, seagrass trunk and seagrass storage trunk. So whether you are looking for a modern grey storage trunk, a traditional green willow wicker storage trunk, a natural rustic look, a lovely seagrass chest or a white wash shabby chic finish wicker trunk we think you’ll find just the storage chests and trunks you need. Have a look at our Provence white trunk storage trunks. This white storage trunk can even look great as a storage trunk on top of a wardrobe in your bedroom. The Basket Company is based in the UK and has an extensive range of superb quality basketware at a sensible price for your home or business. Why not check out our Storage Baskets department or our Underbed Storage Baskets department for more storage solutions to tidy away those blankets, clothes, toys, etc. 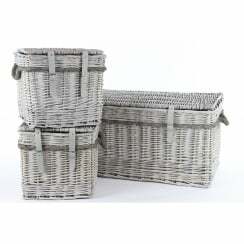 or browse our All Baskets department to see our entire range of basketware.